Provide gun safety for seniors with dementia. This is not a blog about gun ownership pros and cons. It is a frank discussion about the dangers of firearms when an adult has cognitive impairment. As with driving, gun safety is a topic that is difficult to address by family members. 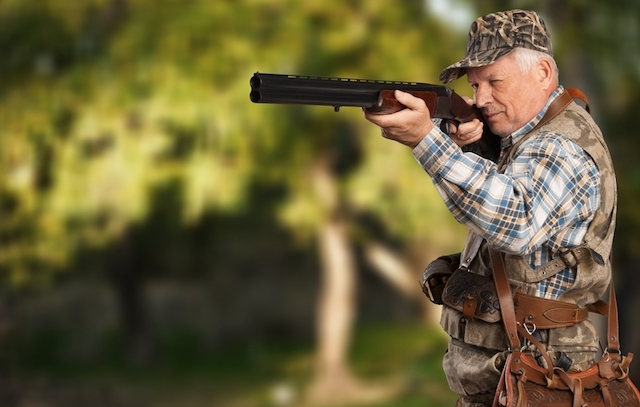 The individual with dementia may have been a gun owner for years and enjoyed shooting for sport or fun. When the person loses their executive function and safety awareness, they are not able to maintain or use a firearm safely. They may also be impulsive and not understand the impact of firing a gun. Suicide is more common than we acknowledge in the senior population. Especially early in the dementing condition, the ease of access to firearms may lead to suicide. Depression is a common condition in seniors, and firearm management is a reversible prevention factor. Delusions and hallucinations are not uncommon in those with dementia. The individual suffering from cognitive impairment may feel that these false beliefs are factual and act on them to protect themselves or others. They do not have the capacity to understand that the delusions and hallucinations are not real. The question is who is responsible for this discussion and safeguard. Often the family is not able to carry on the conversation because of their own gun ownership and fear of angering or alienating the senior. There are several ways to handle this issue. Speak to your healthcare provider and have them deliver the message. Involve the police who can intervene and are seen as authority figures by most seniors. Ask a friend to have the discussion with the senior. Move the guns to a place that is out of sight and out of mind. Make sure that there are no bullets in guns and store bullets in a safe place away from the firearms. Regardless of the option for providing gun safety for seniors with dementia, it is an essential safety modality that may be overlooked. Each situation is unique, so your solution may need to be individualized to the person. Just do it to keep everyone safe. Please reach out to me if you are struggling to find help.